The jump from movies to television isn’t nearly as unusual these days as it used to be. Kevin Spacey is destroying the competition in House Of Cards on Netflix, Steve Buscemi has made Boardwalk Empire into must-watch television, and numerous faces have appeared in Game of Thrones, including Sean Bean and Mark Addy. TV is fast becoming the go-to medium for those looking to delve deeper into character and have a longer period of time to work with a story. Budgets are getting bigger and many shows are almost delivering a movie to our small screens on a weekly basis. Even highly-rated films such as Psycho and Hannibal are getting adapted into series for a new generation. The connection between the two has never been stronger. Step forward True Detective, HBO’s latest anthology drama series, acquired by Sky Atlantic to add to their growing list of exceptional shows such as Girls, Mad Men and The Following. Woody Harrelson makes his long-anticipated return to TV after his career started in Cheers nearly three decades ago. Alongside Harrelson is Matthew McConaughey, marking his debut in a regular TV role. Known recently for Dallas Buyers Club, McConaughey takes on the dark and mysterious role of Detective Rustin “Rust” Cohle, while Harrelson partners him as Detective Martin Hart. The men seem almost black and white on the surface when you compare them, but delve a little deeper and perhaps there are some similarities after all. McConaughey is arguably in the prime of his career, so to see him step into the shoes of a TV character is something special. Harrelson has a track record for having a wide acting range, from comedy in Cheers to far darker roles like Natural Born Killers. Put both men together in True Detective and the chemistry oozes off the screen so effortlessly it’s scary. There is something so natural and believable about the relationship between Cohle and Hart that you’re drawn into the story with a curiosity and fascination like nothing else on TV. Yes, there can be occasional comparisons to something like Hannibal in the slightly nauseating nature of the crimes, but the focus is more character driven here, rather than the visceral nature of Bryan Fuller’s show. Multiple timelines are used which add additional intrigue to the tale. From the main story in 1995 to right up to the present day, we see a stark contrast between the relationship of the detectives when it started and how it has ended up today. It leaves far more questions than it gives answers, but you’ll be so drawn into the show that you’ll be willing to remain patient and see how it plays out. That’s the most important aspect, and it’s what shows like Breaking Bad did so well – the ride is so enjoyable along the way, and you feel the pay-off will be worth it in the end. Nic Pizzolatto’s writing is multi-layered with a heart of darkness and tension, to the point where you feel anything could explode at any time. And McConaughey’s character in the present day is like a ticking time bomb when you see the fresh-faced man in the 90s on that slippery slope. True Detective has already been called the best show on TV by some and it’s hard to disagree when it starts off this well. It has everything you could want in a TV show – strong writing and direction, and even stronger performances, especially from the leads. Everything feels real and plausible, never straying from reality, especially in the case of Hart who has a family at home yet still steps out into the danger of Louisiana. The first season consists of eight episodes, allowing a tight-knit storytelling that never outstays its welcome. This is your new addiction. 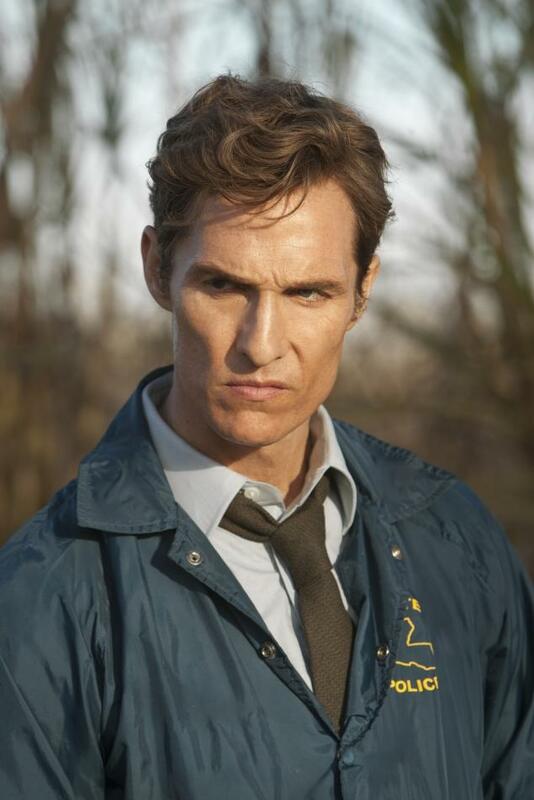 True Detective episode 1 is available on Sky On Demand, and airs on Sky Atlantic on Saturday 22 February 2014 at 9pm.